Our origins date back to 1655 when a group of sons of clergymen gathered for a service in St Paul’s Cathedral and a collection was taken for destitute clergy and their families. Our Festival Service has continued each year since then and is now in its 365th year. It is an opportunity to give thanks to God for the work of the charity, which is to provide assistance to Anglican clergy and their families in times of need. The Festival Service provides an occasion for bringing together representatives from the Church, City, commerce, public life and our supporters. 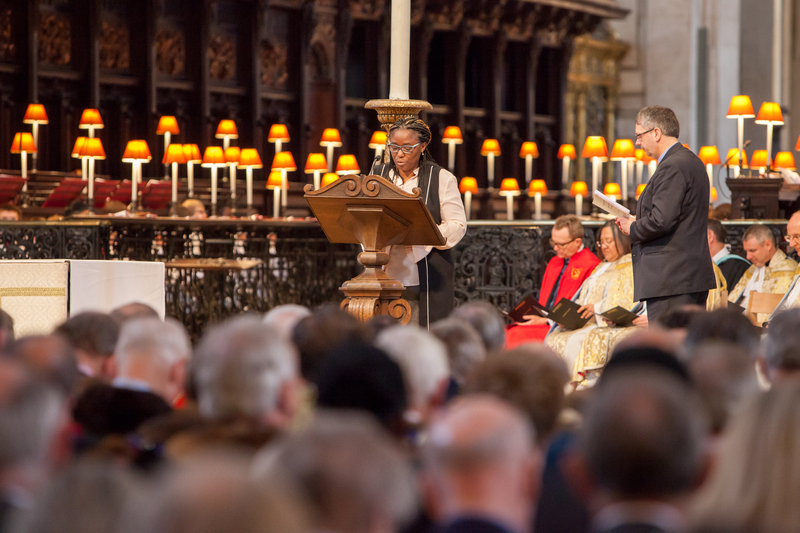 Our 365th Festival Service will take place at St Paul's Cathedral on Tuesday 21st May 2019 at 5pm (arrive by 4:30pm for security). The event is free to attend but a ticket is needed. Book yours by clicking on the 'Register' button below. Doors open at 4.00pm. Please be seated by 4.45pm. Please note that bag checking will be in operation. Please keep hand luggage to a minimum. There is no cloakroom facility within the Cathedral so all clothing and bags must be kept with you at all times. The service will last approximately 60 minutes. Seating in the Nave is on a first-come-first-served basis. Tickets cannot be held on the door. Please print out your ticket and bring it with you. Wheelchair users are most welcome but should contact us after they have booked a ticket to ensure easy access. If you have booked more than one ticket, please ensure you print them all out separately. If you book a ticket and are unable to attend, please CANCEL your ticket by following the links to 'Your Account' on Eventbrite. This link can be easily found on the email you received from Eventbrite when booking the tickets. This means the ticket will be returned to the pool for someone else to enjoy. Photography is not permitted within the Cathedral. Take our eligibility checker to see if you qualify. Take our eligibility test to see if you qualify. 1. Which of the following categories best describes you?